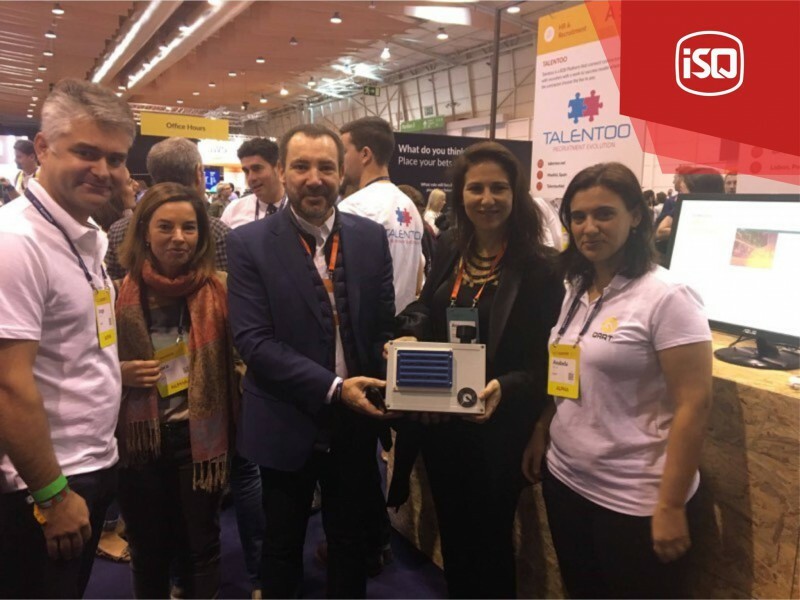 Presentation to the Secretary of State for Industry, Ana Lehmann, of an innovative technology (QART) that monitors noise and air quality in real time. A project from a new ISQ startup, in partnership with QUANTICO and Sondar.i. Sondar.i is a private accredited laboratory, market leader in Portugal, specialized in the field of stationary sources emissions, carrying out works related to gaseous emissions sampling for legal requirements compliance and calibration of automated measurement systems according to the AST and QAL2 assurance levels.